Preferred Office Network offers office space, meeting space, and virtual offices to growing corporate clients via its network of independent office business centers. The largest network of its kind in North America. Preferred offers clients revolutionary benefits in 350+ business center locations nationwide. 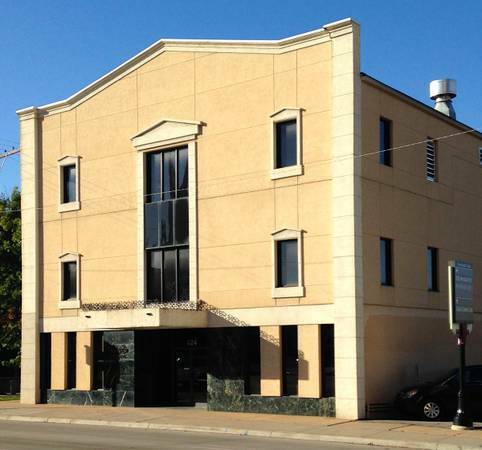 MoreLaw Suites, located at 406 South Boulder and 624 South Denver in Downtown Tulsa provides cost effective office space to lawyers and non-lawyers who need office space near the center of Downtown Tulsa on a month-to-month basis. Office start at $300.00 a month. MoreLaw Suite also rents virtual office resources for meetings and mail drop services. Virtual offices are $175.00 a month. MoreLaw Suites offices include free marketing on MoreLaw.com. The Beacon Building is located one block south of the Bankruptcy Court, two blocks from the Federal Courthouse and three blocks from the Tulsa County Courthouse. The Denver Building is located one block south of the Tulsa County Court house. Legal Suites and Virtual Offices in the best location in Tulsa County. MoreLaw Suites - South Denver is located just one block south of the Tulsa County Courthouse at 624 South Denver. It is not possible to have an office closer to the south door of the Tulsa County Courthouse than MoreLaw Suites - South Denver. MoreLaw Suites - South Denver provides state of the art month-to-month legal executive suites offices and virtual offices to the solo and small firm practice lawyer. Everything you need to practice law in Tulsa county on one highly affordable bill. High speed Internet access from your desk for less than you can get it from any other Tulsa ISP provider. State-of-the-art voice over Internet potocol private branch exchange professional answering service. Unified voice messaging service send you a copy of your voice mail via e-mail attachment. Listen to your voice mail messages any where in the world without having to call in for your messages. Follow me service can be programed to call your cell phone, if you are out of the office, if you want to get your calls on the run. Business Suites and Virtual Offices - Located in the Del Ray Building one block south and west of the Tulsa County Courthouse, two blocks south of the Federal Court House and two blocks east of the State Office Building at 7th and Houston, the Del Ray Business Building and Del Ray Business Suites Executive Suites on the first floor of the building is the ideal location for your small business operation. Rather office out of your home but not have someplace other than a coffee shop to meet your client's? The Del Ray provides virtual front office services including professional answering and receptionist service, marketing services and other small business support services for your company. Why hire someone full time to answer your phone when we can do it for you and a fraction of the cost. Located in the southwest corner of Downtown Tulsa near the Double Tree Hotel and Tulsa Regional Hospital, the Del Ray is easy for you and your clients to get to off of the Broken Arrow Expressway via the Denver or Houston Exists and off of the I-244 or Highway 75 via the 7th Street exists. The Del Ray is connected to the Internet via a broadband circuit and the Del Ray Suites provides free wi-fi for your convenience.